If you've read Reasons for Continuous Planning, you might be wondering, “How can we do this?” Here are some ideas. A person who is already registered can login with their user id and password. For this, you only need to have a flat file and a not-too-bright parser—maybe even just a lookup in the flat file. You don't need too many cases in the flat file. You might only have two or three. Yes, this is a minimal story that allows you to write automated tests to verify that it works even when you refactor. You want to check for people that you don't want to log in. These are three different small stories. You might need a spike to consider which stories you want to do when, or do some investigation. These five plus stories are a feature set for secure login. You might not need more than stories 1, 2, and 3 the first time you touch this feature set. That's fine. You have the other stories waiting in the product backlog. If you are a product owner, you look at the relative value of each feature against each other feature. Maybe you need this team to do these three first stories and then start some revenue stories. Maybe the Accounting team needs help on their backlog, and this feature team can help. Maybe the core-of-the-product team needs help. If you have some kind of login, that's good enough for now. Maybe it's not good enough for an external release. It's good enough for an internal release. The teams work with their product owners. The product owners (product owner team) work together to develop and replan the next iteration's plan which leads to replanning the quarter's plan. You have continuous planning. You don't need a big meeting. The feature team small-world networks help the teams see what they need, in the small. The product owner team small-world network helps the product owners see what they need for the product over the short-term and the slightly longer term. 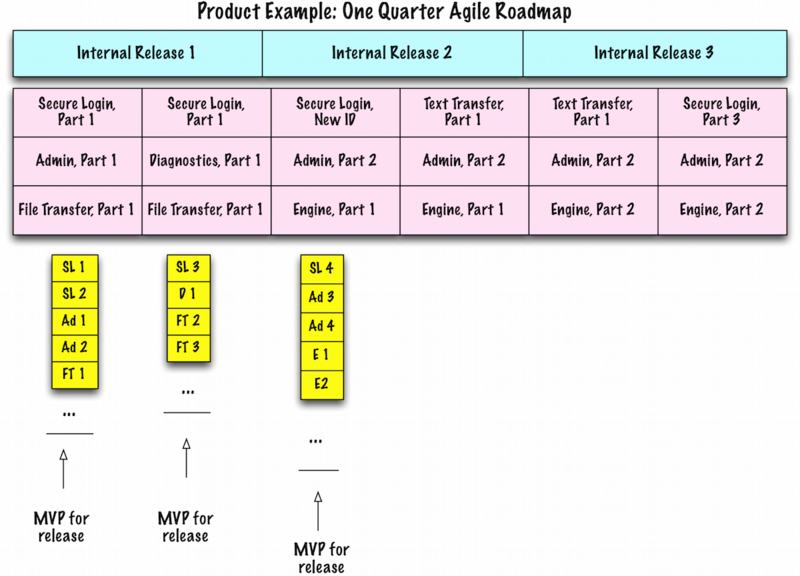 The product manager can meet with the product owner team at least once a quarter to revise the big picture product roadmap. You don't need a big planning meeting. You do need product owners who understand the product and work with the teams all the time. 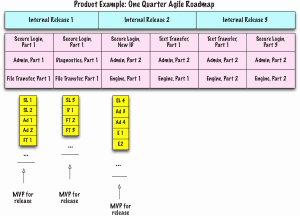 Previous PostPrevious Is Agile a Cargo Cult or a Reality for Your Team?